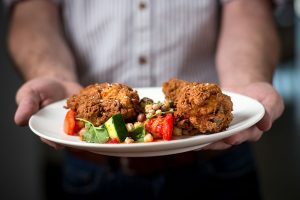 The Hive showcases the unique culinary identity of Arkansas under the direction of executive chef and Arkansas native Matthew McClure, a six-time James Beard Foundation Best Chef Semifinalist Nominee. His longstanding and outspoken commitment to support local farmers and purveyors has cemented his position as a notable champion for Arkansas’s burgeoning culinary renaissance. Metropole offers a renewed vision of New American cuisine. 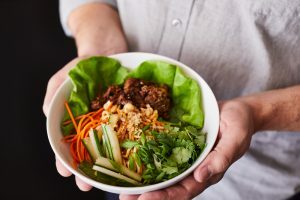 Led by executive chef David Kelsey, the menu focuses on the joy of nourishing food with a contemporary take on old world techniques. 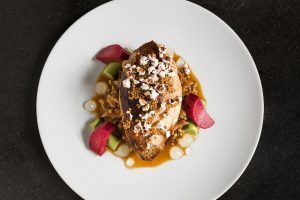 Metropole highlights a diverse offering that utilizes global techniques mixed with the culinary traditions found throughout the Ohio Valley. 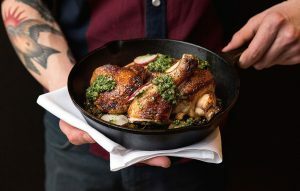 Names one of the Triangle's Best Restaurants in 2017 and recognized for the Best Cocktails by Durham Magazine in 2016, Counting House showcases executive chef Thomas Card’s commitment to local, high-quality ingredients, celebrating North Carolina’s rich heritage of fresh seafood, and featuring a variety of rotisserie cooking and roasting techniques. 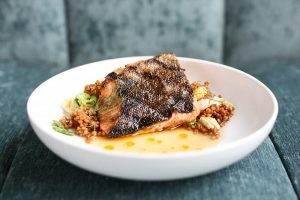 Executive chef Joe West’s menu is an intentional throwback to mid-century modern, American classic cuisine – a contemporary nod to this beloved restaurant’s storied past. His approach is humorous and thought-provoking, with inspiration drawn from a career of exacting work among a number of some of the most meticulous kitchens. 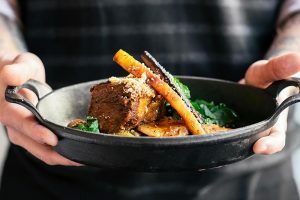 Lockbox is committed to sourcing local, high-quality ingredients from around the Bluegrass region and uses thoughtful, yet simple preparations and cooking techniques in a contemporary setting. Through partnerships with Woodland Farm and regional artisan producers, Proof highlights the bounty of the Ohio River Valley. The bar is a local favorite, as well, featuring more than 120+ Kentucky Bourbons in a dramatic, lively space. 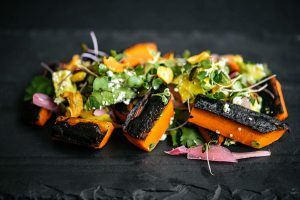 Celebrating Southern sensibilities, the menu at Gray & Dudley is a reflection of executive chef Rob Newton’s Arkansas roots, informed by his travels abroad and influenced by the diverse immigrant communities across the region. 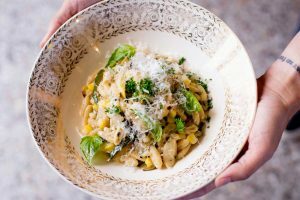 Located at 21c Museum Hotel Oklahoma City in the former Ford Motor Company Assembly Plant, Mary Eddy’s Kitchen x Lounge showcases executive chef Jason Campbell’s bold and eclectic take on New American cuisine, in an art-filled, communal setting that honors the building’s industrial roots.